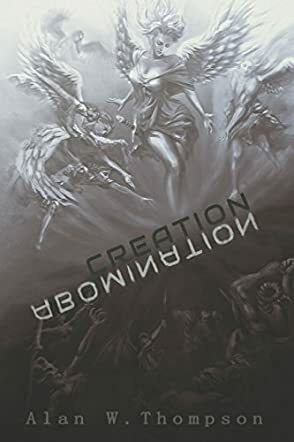 Alan Thompson is the author of a new Supernatural Science Fiction Thriller titled Creation Abomination. He originally had the idea for Creation Abomination back in 1995, at which time he wrote a detailed, 28-page outline of the story and then let it sit on the shelf collecting dust for many years. In 2010, he was inspired to complete this book and he started both researching and writing. By the middle of 2016, he completed his first draft and went through multiple rounds of edits over the past 1 1/2 years. Alan was born and raised in California but now lives in Idaho. He spent 25 years working in high tech and digital marketing, and now is a full-time professor at a University in Idaho teaching Marketing in Business Management. His hobbies and passions include Science Fiction, Movies, Video Games, Mountain Biking, Disney Theme Parks and Wood Working. You can learn more about Alan and Creation Abomination by following @creationabomination on Facebook. William Mears is working towards his doctorate at the University of Southern California. But he doesn't want to take the easy road; he wants his thesis to matter, to impact the world, and be complete on presentation. He wants to take it beyond the lab rats to human applications. He wants to encourage the body to heal things that would otherwise be impossible. The applications are limitless, but there's a catch. In order for the treatment to work, embryo stem cells are required from the person needing the treatment. Impossible, unless he creates a clone. There is great interest in his work, from forces he could not even imagine. His project has the potential to change the world, but everything has a cost, and will this one be too high? When one plays God, they must consider all things, including the potential for corruption, and ramifications man cannot even begin to fathom. With accurate science and a unique plot, you can't help but be pulled into Creation Abomination. I am quite well versed in many areas of science, but even those who have trouble will find it easily accessible, well explained; and whilst central to the plot, the concept is not too overwhelming. There is a great balance to this book, one which is enhanced by Alan W Thompson's well-crafted descriptive style and the attention given to character development throughout the plot's progression. It addresses morals, even the possibility of interference from beyond the earthly plane. This is a book that flows with ease, a fun read that is easy to lose yourself in while boasting an engaging and unique plot. Once you open the pages, be prepared to be pulled into a world with a unique blend of technology, genetic engineering, and the supernatural and divine that will hold you tightly and not let go. A great first instalment with a promise for an equally compelling sequel.